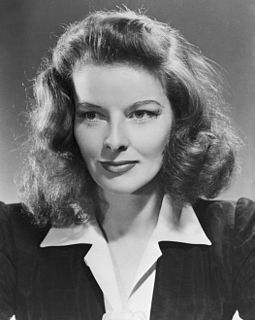 Katharine Houghton Hepburn was an American actress. Known for her fierce independence and spirited personality, Hepburn was a leading lady in Hollywood for more than 60 years. She appeared in a range of genres, from screwball comedy to literary drama, and she received a record four Academy Awards for Best Actress. In 1999, Hepburn was named by the American Film Institute one of the greatest female stars of Classic Hollywood Cinema. Catherine Rosalind Russell was an American actress, comedian, screenwriter and singer, known for her role as fast-talking newspaper reporter Hildy Johnson in the Howard Hawks screwball comedy His Girl Friday (1940), as well as for her portrayals of Mame Dennis in Auntie Mame (1958) and Rose in Gypsy (1962). A noted comedian, she won all five Golden Globes for which she was nominated. Russell won a Tony Award in 1953 for Best Performance by an Actress in a Musical for her portrayal of Ruth in the Broadway show Wonderful Town. She was nominated for the Academy Award for Best Actress four times throughout her career. Lucille Désirée Ball was an American actress, comedian, model, entertainment studio executive and producer. She was the star of the self-produced sitcoms I Love Lucy, The Lucy Show, Here's Lucy, and Life with Lucy, as well as comedy television specials aired under the title The Lucy-Desi Comedy Hour. William Churchill DeMille was an American screenwriter and film director from the silent film era through the early 1930s. He was also a noted playwright prior to moving into film. Once he was established in film he specialized in adapting Broadway plays into silent films. Rodolfo Alfonso Raffaello Pierre Filibert Guglielmi di Valentina d'Antonguella, professionally known as Rudolph Valentino, was an Italian actor based in the United States who starred in several well-known silent films including The Four Horsemen of the Apocalypse,The Sheik,Blood and Sand,The Eagle, and The Son of the Sheik. Blood and Sand is a 1922 American silent drama film produced by Paramount Pictures, directed by Fred Niblo and starring Rudolph Valentino, Lila Lee and Nita Naldi. It was based on the 1909 Spanish novel Sangre y arena by Vicente Blasco Ibáñez and the play version of the book by Thomas Cushing. James Cruze was a silent film actor and film director. Through her work with Cruze, Arzner gained considerable leverage and threatened to leave Paramount for Columbia if she wasn't given a picture to direct. "I had an offer to write and direct a film for Columbia," Arzner said, "It was then I closed out my salary at Paramount and was about to leave for Columbia." Before leaving, Arzner decided to say goodbye to "someone important and not just leave unnoticed and forgotten" which led her to Walter Wanger, the head of Paramount's New York studio. When she said she was leaving Wanger offered Arzner a job in the scenario department and a discussion about directing sometime in the future. Arzner replied "Not unless I can be on a set in two weeks with an A picture. I'd rather do a picture for a small company and have my own way than a B picture for Paramount." Wanger then offered her a chance to direct a comedy based on the play The Best Dressed Woman in Paris, which would later be titled Fashions for Women (1927), Arzner's first picture. 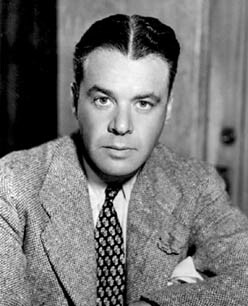 Walter Wanger was an American film producer active in filmmaking from the 1910s to the turbulent production of Cleopatra, his last film, in 1963. He began at Paramount Pictures in the 1920s and eventually worked at virtually every major studio as either a contract producer or an independent. He also served as president of the Academy of Motion Picture Arts and Sciences from 1939 to October 1941 and from December 1941 to 1945. Strongly influenced by European films, Wanger developed a reputation as an intellectual and a socially conscious movie executive who produced provocative message movies and glittering romantic melodramas. He achieved notoriety when, in 1951, he shot and wounded the agent of his then-wife, Joan Bennett, because he suspected they were having an affair. He was convicted for the crime and served a four-month sentence, then returned to making movies. Fashions for Women is a lost 1927 American drama silent film directed by Dorothy Arzner and written by Paul Armont, Jules Furthman, Percy Heath, Herman J. Mankiewicz, Léopold Marchand and George Marion, Jr.. The film stars Esther Ralston, Raymond Hatton, Einar Hanson, Edward Martindel, William Orlamond and Agostino Borgato. The film was released on March 26, 1927, by Paramount Pictures. After The Wild Party, Arzner directed eleven more features for Paramount, including Sarah and Son (1930) starring Ruth Chatterton and Honor Among Lovers (1931) starring Claudette Colbert, though after 1932 she left the studio to work on a freelance basis. During her time freelancing, Arzner made some of her best-known films, Christopher Strong (1933) with Katharine Hepburn, Craig's Wife (1936) starring Rosalind Russell, and Dance, Girl, Dance (1940) featuring Lucille Ball. In 1950 Arzner became associated to Pasadena Playhouse, a well known theatre company in southern California, where she founded filmmaking classes. She produced some theatre plays and starred a radio program called You wanna be a star. In 1952 she joined the staff of the College of the Arts of the Playhouse as the head of the Cinema and Television Department. She taught the first year of cinema in the university. In the late fifties she became the entertainment and publicity consultant at the Pepsi company, with influence of the boss's wife, Joan Crawford, with whom Arzner had a close relationship. Arzner made a series of successful commercials for Pepsi, most of them with Crawford. In 1961 Arzner joined the UCLA School of Theater, Film and Television, in the Motion Picture division as a staff member, where she spent four years supervising advanced cinema classes before retiring in June 1965. There she taught Francis Ford Coppola. and became an evident reference for him in the future. Arzner's documents, files and films are preserved in Cinema and Television File in UCLA, thanks to Jodie Foster, who raised sufficient funds for their maintenance. 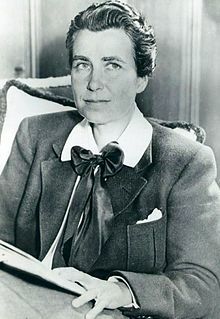 Dorothy Arzner was born in San Francisco, California, the January 3, 1897, but moved with her parents Louis and Jenetter Arzner, to Los Angeles, where his father opened a very prestigious restaurant next to a theatre in Hollywood. Arzner spent her childhood surrounded by celebrities who came to the restaurant as well as Maude Adams, Sarah Bernhardt, David Warfield, among others, but she was so used to them that she was never attracted to the cinema world. Even though she started her medical degree in the University of Southern California, in a 1974 interview with Karin Kay and Gerald Peary published in Cinema , Arzner said "With a few summer months in the office of a fine surgeon and meeting with the sick, I decided that was not what I wanted. I wanted to be like Jesus – 'Heal the sick and raise the dead', instantly, without surgery, pills, et cetera. "[ full citation needed ] It was then, after two years into her degree, that she left and decided to find a job so she could acquire economic independence. Arzner, in spite of having abandoned the degree, had a broad education, which included architecture and art history courses. As soon as she left the university she began working for Paramount Studios doing jobs such as that of a cutter or editor, for which she would be specifically recognized in Blood and Sand (1922) . Later, the studios would offer her a two year contract as a director, but it wouldn't be until the contract was finished that she would start a freelance career. Casella, Donna R. "What Women Want: The Complex World of Dorothy Arzner and Her Cinematic Women." Framework: The Journal of Cinema and Media 50, no. 1/2 (2009): 235-270. https://www.jstor.org/stable/41552560. "Dorothy Arzner." UCLA Film & Television Archive, accessed November 3, 2018. https://www.cinema.ucla.edu/collections/dorothy-arzner. "Dorothy Arzner Biography." biography.com, accessed November 13, 2018. https://www.biography.com/people/dorothy-arzner-9190257#synopsis. Field, Allyson Nadia. "Dorothy Arzner." Women Film Pioneers Project. https://wfpp.cdrs.columbia.edu/pioneer/ccp-dorothy-arzner/. Gaines, Jane. "Dorothy Arzner's Trousers." Jump Cut: A Review of Contemporary Media, no. 37 (July 1992): 88-98. Geller, Theresa L. "Arzner, Dorothy." Senses of Cinema, May 2003. http://sensesofcinema.com/2003/great-directors/arzner/. Kay, Karyn and Gerald Peary. "Interview with Dorothy Arzner." Agnès Films, July 16, 2011. http://agnesfilms.com/interviews/interview-with-dorothy-arzner/. Kenly, William S. "Paramount: The Early Sound Years." MoMA, no. 44 (Summer, 1987): 6-7. https://www.jstor.org/stable/4381023. Mayer, So. "Dorothy Arzner: Queen of Hollywood." bfi.org, March 7, 2015. https://www.bfi.org.uk/news-opinion/sight-sound-magazine/features/dorothy-arzner-queen-hollywood. Mayne, Judith. "The Woman at the Keyhole: Women's Cinema and Feminist Critique." New German Critique, no. 23 (Spring/Summer 1981): 27-43. https://www.jstor.org/stable/487935. Shrage, Laurie. "Feminist Film Aesthetics: A Contextual Approach." Hypatia, 5 no. 2 (Summer, 1990): 137-148. https://www.jstor.org/stable/3810161. Wise, Damon. "Lumière Festival: Dorothy Arzner, a Hollywood Trailblazer." Variety, October 10, 2016. https://variety.com/2016/film/festivals/dorothy-arzner-lumiere-festival-hollywood-golden-age-director-1201883604/. Julie Ethel Dash is an American film director, writer and producer. Dash received her MFA in 1985 at the UCLA Film School and is one of the graduates and filmmakers born out of a time known as the L.A. Rebellion. After she had written and directed several shorts, her 1991 feature Daughters of the Dust became the first full-length film directed by an African-American woman to obtain general theatrical release in the United States. Ida Lupino was an English-American actress, singer, director, and producer. She is widely regarded as one of the most prominent, and one of the only, female filmmakers working during the 1950s in the Hollywood studio system. With her independent production company, she co-wrote and co-produced several social-message films and became the first woman to direct a film noir with The Hitch-Hiker in 1953. Miriam Leder is an American film and television director and producer noted for her action films and use of special effects. She was the first female graduate of the AFI Conservatory, in 1973. Claire Johnston (1940–1987) was a feminist film theoretician. She wrote seminal essays on the construction of ideology in mainstream cinema. Women's cinema is a variety of topics bundled together to create the work of women in film. This can include women filling behind the scene roles such as director, cinematographer, writer, and producer while also addressing the stories of women and character development through screenplays. Julia Faye was an American actress of silent and sound films. She was known for her appearances in more than 30 Cecil B. DeMille productions. Her various roles ranged from maids and ingénues to vamps and queens. Einar Hanson, also known as Einar Hansen, was a Swedish silent film motion-picture actor. Dorothy Revier was an American actress. Dance, Girl, Dance is a film released in 1940 and directed by Dorothy Arzner. Jacqueline Audry was a French film director who began making films in post-World War II France and specialised in literary adaptations. She was the first commercially successful female director of post-war France. Pam Cook is Professor Emerita in Film at the University of Southampton. She was educated at Sir William Perkins's School, Chertsey, Surrey and Birmingham University, where she was taught by Stuart Hall, Richard Hoggart, Malcolm Bradbury and David Lodge. Along with Laura Mulvey and Claire Johnston, she was a pioneer of 1970s Anglo-American feminist film theory. Her collaboration with Claire Johnston on the work of Hollywood film director Dorothy Arzner provoked debate among feminist film scholars over the following decades. Paramount on Parade is a 1930 all-star American pre-Code revue released by Paramount Pictures, directed by several directors including Edmund Goulding, Dorothy Arzner, Ernst Lubitsch, Rowland V. Lee, A. Edward Sutherland, Lothar Mendes, Otto Brower, Edwin H. Knopf, Frank Tuttle, and Victor Schertzinger—all supervised by the production supervisor, singer, actress, and songwriter Elsie Janis. The Wild Party is a 1929 Pre-Code film directed by Dorothy Arzner, released by Paramount Pictures, and known as Clara Bow's first talkie. Merrily We Go to Hell is a 1932 pre-Code film directed by Dorothy Arzner, and starring Fredric March and Sylvia Sidney. Its title is an example of the sensationalistic titles that were common in the pre-Code era. Many newspapers refused to publicize the film because of its racy title. The title is a line March's character says while making a toast. Esther Eng was a Cantonese–American film director and the first female director to direct Chinese-language films in the United States. Eng made four feature films in America and five in Hong Kong. She was recognized as a female pioneer who crossed the boundaries of race, language, culture and gender. Eng died of cancer at the age of 55 in January, 1970. Wanda Tuchock was an American advertising copywriter, screenwriter, director, and producer during the early 20th century. She was credited with writing for over thirty films, and was one of the two women in the 1930s to be credited as a director on a Hollywood film. She retired in 1973 and died in 1985 at the age of 86. Golden Gate Girls is a 2013 documentary film focusing on the life and works of Esther Eng (1914-1970), once honored as the first woman director of Southern China. She crossed boundaries of both gender and culture by making Cantonese language films for Chinese audiences during and after WWII. She was in fact the only woman directing feature-length films in America after Dorothy Arzner’s retirement in 1943 and before Ida Lupino began directing in 1949. After her film career, she pioneered in establishing fine dining Chinese Restaurants in New York City. She left her mark in both the Chinese and English press enabling director S. Louisa Wei to recover some of her lost stories. Clips from her two extant films, stills from her eight other motion pictures, photos from her six albums, newsreels of San Francisco as she saw them, as well as hundreds of archival images are collected to present her life and work in the most stunning visuals. Women in film describes the role of women as film directors, actresses, cinematographers, film producers, film critics, and other film industry professions. The work of women in film criticism and scholarship, including feminist film theorists, is also described. Marion Morgan was an American choreographer and motion picture screenwriter and the longtime companion of motion picture director Dorothy Arzner. Arzner lived for the last 40 years of her life with Morgan. 1 2 Gaines, Jane (1992). ""Dorothy Arzner's Trousers"". Jumpcut: A Review of Contemporary Media. No. 37: 88–98. 1 2 3 4 5 6 Mayer, So (March 7, 2015). ""Dorothy Arzner: Queen of Hollywood"". British Film Institute. 1 2 3 Wise, Damon (October 10, 2016). ""Lumière Festival: Dorothy Arzner, a Hollywood Trailblazer"". Variety. 1 2 3 ""Dorothy Arzner"". UCLA Film and Television Archive. 1 2 3 4 5 6 7 8 9 10 11 12 13 Geller, Theresa (May 2003). ""Arzner, Dorothy"". Senses of Cinema. 1 2 3 4 5 6 7 8 9 10 11 12 13 14 Kay, Karyn and Gerald Peary (July 16, 2011). ""Interview with Dorothy Arzner"". Agnès Films. 1 2 Geller, Theresa (May 2003). ""Arzner, Dorothy"". Senses of Cinema. ↑ "Evening star. [volume] (Washington, D.C.) 1854-1972, July 07, 1929, Image 89" (http://chroniclingamerica.loc.gov/lccn/sn83045462/1929-07-07/ed-1/seq-89/). 1929-07-07. p. 15. ISSN 2331-9968. Retrieved 2018-10-23. 1 2 Casella, Donna R. (2009). ""What Women Want: The Complex World fo Dorothy Arzner and Her Cinematic Women"". Framework: The Journal of Cinema and Media. Vol. 50: 235–270 – via https://www.jstor.org/stable/41552560. 1 2 3 Field, Allyson Nadia. ""Dorothy Arzner"". Women Film Pioneers Project. ↑ Kenly, William S. (1987). ""Paramount: The Early Sound Years"". MoMA. No. 44: 6–7 – via https://www.jstor.org/stable/4381023. 1 2 Shrage, Laurie (1990). ""Feminist Film Aesthetics: A Contextual Approach"". Hypatia. Vol. 5, no. 2: 137–148 – via https://www.jstor.org/stable/3810161. 1 2 3 Mayne, Judith (1981). ""The Woman at the Keyhole: Women's Cinema and Feminist Critique"". New German Critique. No. 23: 27–43 – via https://www.jstor.org/stable/487935. 1 2 ""Dorothy Arzner Biography"". Biography. November 13, 2015. ↑ Mann, William J. (2001). Behind the Screen: How Gays and Lesbians Shaped Hollywood, 1910-1969. New York:Viking. ISBN 9780670030170. ↑ Mayne, Judith (1994). Directed by Dorothy Arzner. (\https://books.google.com/books?id=Y1xSHLHGh7MC). Indiana University Press. p. 42. ISBN 9780253208965. ↑ DiMare, Philip C. (2011-01-01). Movies in American History: An Encyclopedia. ABC-CLIO. p. 558. ISBN 9781598842968. ↑ Chuba, Kirsten (March 1, 2018). "Francis Coppola Helps Paramount Dedicate Building to Pioneer Director Dorothy Arzner". Variety . Retrieved 4 March 2018. ↑ Valenzuela, Beatriz (March 3, 2018). "Dorothy Arzner — pioneering lesbian film director — honored at Paramount". Q Voice News. Retrieved 4 March 2018. Wikimedia Commons has media related to Dorothy Arzner . "Lumière Festival: Dorothy Arzner, a Hollywood Trailblazer"
"Dorothy Arzner: Queen of Hollywood"